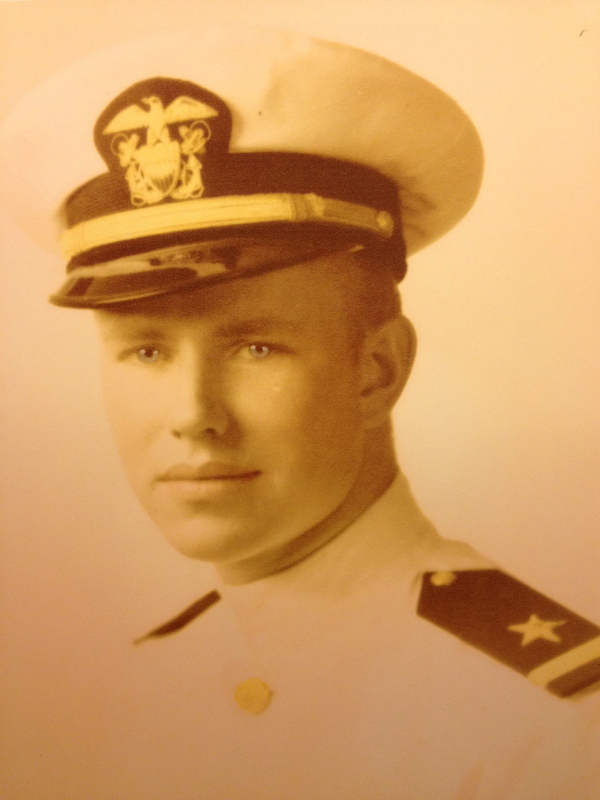 The earthly journey ended last week for my father-in-law, Commander James F. Trawick (USN Ret.). Also known as Jim, Jim-Jim, and Dad, he went to heaven on Monday, January 28, 2013, and was buried next to his wife, Eunice, at Memory Garden in Brea, California, on Saturday, February 2. I’d never been to a military funeral and the respect these servicemen showed one of their own impressed me. 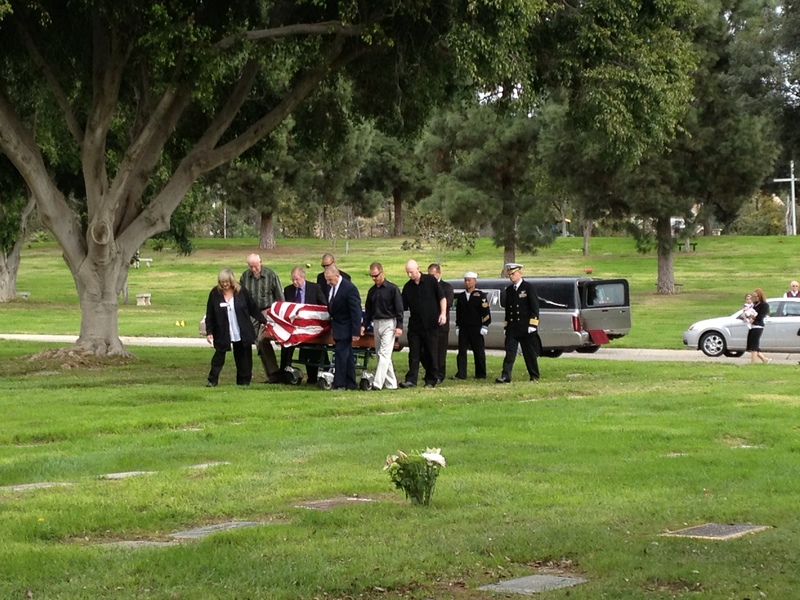 Six men drove from San Diego to Brea to give a proper send off to Dad. As the flag-draped coffin approached the gravesite, one sailor saluted and two others walked behind. The minister shared stories from Dad’s life—silly jokes he was known for, his love for teaching his Sunday School class, and his work with the Gideons. When the minister finished, the three-gun volley pounded into the sky like a sledgehammer to my heart. Thwack, thwack, thwack. The bugler slid into Taps and a sob hiccupped from deep in my chest with absolutely no warning. Finally, the folding of the flag. With precise hand movements and a white-gloved hand running along the folds, the sailor moved forward and folded again. He presented the flag to the Captain, who saluted and took it, then the sailor saluted. The sailors quietly slipped away as the funeral finished. They were as humble in this duty as Dad was in his. Not many knew he received a bronze star in World War II for ordering his crew to return fire when the enemy attacked their ship. He certainly wouldn’t tell you. I’ll miss Dad. As will his three children, five grandchildren, six great-grandchildren, sons-in-law, and friends.